Make Your Brand Social and Reap the Endless Benefits! In a world where people post everything right from getting up to eating, sleeping, working and their smallest daily chores, how can a business assume that they can succeed just with regular TV and print media? Everything and everyone is on Social media, and that’s where business too is. If you go by what the biggest social media experts say, you must have well managed business pages on all social channels including facebook, twitter, LinkedIn, etc. So get the best social media marketing services to get substantial results. Cognus technology is a prominent name in the world of social media marketing company. We have an experience of more than 5 years as a well known social media marketing agency to over 150 contented clients all over the world and have experts in the field of social media for providing full-fledged services to our clients as a social media marketing agency. We believe in the fact that no business can succeed without being social and keep updating our services in accordance with the latest changes in Social Media Optimization (SMO) trends. Social media experts at Cognus offer Social Media marketing services that focus on driving search engine traffic by social bookmarking, blogs, videos, photo sharing & interacting with other online communities. Through a multitude of channels and latest social media optimization (SMO) trends, our experts generate volumes of traffic to your web page and keep it sustained in the long run. 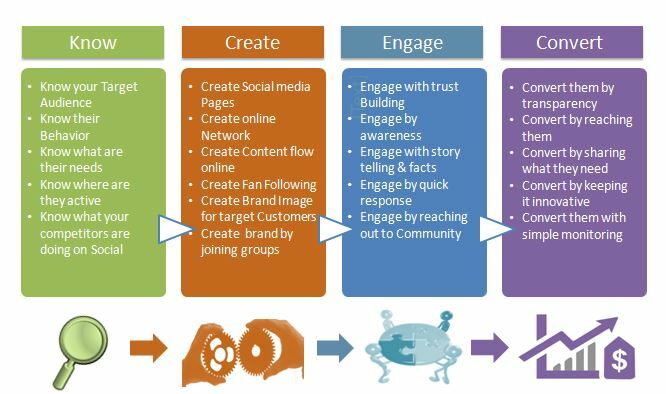 How Social Media Optimization (SMO) Strategy At Cognus Is Different From Others? We reward your website with inbound links through well-equipped social media marketing campaigns. Our SMM services boost your Link-ability. We help your content to travel across your prospects easily. Our SMM strategies help your business you obtain higher ROI. We Offer you an affordable way to drive your business to the advanced level. Our social media experts offer ultramodern SMM services that adds value to your brand and translate it into long term business prospects. As a social media consultant, we prompt more people through our campaigns and various tactics to like & trust your business to make you grow, manage and expand your business on the go. Our qualified team of SMO experts build powerful Social Media Campaigns to help you achieve the best results by the means of our Social Media consultant services. Just as a human cannot live without being social, a business cannot survive without getting social too. Join the conversation online and tap into the world of social media by partnering with Cognus Technology!